The letter was signed “An Fear Mor” and went on for many more words. The notion that over 70 years later, we would be no closer to the Holy Grail, is a frightening one. For those at the heart of the university fight, and there have many, the fight has been a demoralising one. The optimism that was passed by father to son, has been diluted with a shot of harsh reality, all ready for the next generation. The fight, it seems, has never been a fair one. In recent times, a plethora of reports have been commissioned, by one or the other, to examine the case for a Waterford University. In 2003, Professor Malcolm Skillbeck published a document recommending that WIT (and DIT) become a university. He said at the time, in what was known as ‘The Skillbeck Report’ that “WIT could form the nucleus of a new university of the south-east”. An application for university status was made in 2005 and a report called “Realising Our Future” argued that the South East needed a new greenfield campus (like UCD’s Belfield campus, or the one subsequently built in Grangegorman for DIT). It argued that the demographics, economic and social demands of the region called for a new university based on a hugely expanded WIT, relocated to Carriganore- at the base of the M9 and proposed New Ross Bypass that will ultimately link to the M11. This strategic location could provide commuter access to the entire region within 45 mins. The plan was for a universal university like UCC, UL and NUIG that would grow to deliver a full service to the region. In 2004, Professor Robin Farquhar produced a report about whether WIT was ready to be designated a university as it stands, concluding that ‘based on the Canadian standard’ WIT was already operating at university level. Goodbody were commissioned by the Chamber of Commerce to develop an Economic Impact of a University of the South-East in 2005 and concluded that it would support the region closing the gap with the rest of Ireland. Two former combatants in the university sector- Professor Ed Walsh, former president of the University of Limerick, and Professor Ferdinand von Prondzynski, former president of Dublin City University both advocated strongly for investing in a new university in the SE based on WIT. And nothing happened. 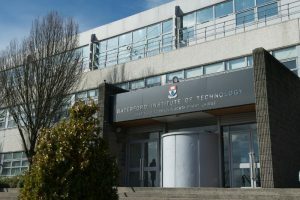 In 2008, The Minister for Education and Science, Mary Hanafin T.D published a report by J M Consulting on the application by Waterford Institute of Technology for designation as a university. The Minister commissioned Dr Jim Port to carry out a preliminary review (The Port Report) of the application from Waterford Institute of Technology as an input in to consideration of whether to trigger the full formal review process. Dr Port became the third major international academic to confirm what everyone already knew, that WIT was worthy of designation as a University judged under any existing international criteria. The government sat on the Port Report for as long as they could after a rumoured cabinet meeting where Waterford missed out on a by one vote they decided against creating a university in Waterford. Around this time Martin Cullen was edged out of power. In the lead up to the 2011 General Election, Fine Gael sailed into power on a wave, partly made up of University promises to Waterford. Once in power, these promises were ditched quicker than their election posters. In the following years, there were at least NINE separate reports into WIT management – Deloitte 1, Deloitte 2, Grant Thornton, Arthur Cox, CAG, Quigley, Taylor, Kelly, and a mystery report on spin out companies that was due to be published last year but has seemingly been buried. The Waterford News & Star has spoken to a former lecturer (Waterford born, worked in Dublin) who said that there has been a “large huge human cost borne by WIT management by all this smoke and no fire”. “Given the number of people involved (at least three presidents, two chairperson and other senior WIT managers), given the range of issues, given that WIT is broadly thrifty (doing more with less…less money/more students than most in the sector), given that attacks have been made on areas of strength (campus services and TSSG) – it is hard not to conclude that there is an organised campaign of putting WIT back into the IoT sector, blunting its performance and removing managers who were identified with WIT’s university ambition,” the former lecturer said. One of the most high profile victims of this ‘paralysis by analysis’ was former president Professor Kieran R Byrne. Despite WIT having a clean bill of health from the CAG report and its own auditors’, articles appeared in newspapers suggesting that Prof Byrne’s spending was lavish and intimated that such spending was of a personal – ‘feathering of the nest’ type. Naturally, this was worthy of exploration and the Governing Body initiated a study while pausing the reappointment process (Deloitte Report). This report was effectively second-guessed when under pressure from Minister Ruairí Quinn and head of the Higher Education Authority, the board refused to extend his term on May 13, 2011, effectively removing him the President office. The former lecturer, (who wishes to remain anonymous due to relatives in the Department of Education) told the Waterford News & Star that “the Ministerial and HEA involvement was highly irregular and inappropriate”. “They saw an opportunity to put a bullet in the swelling case for a university, and they took it,” he said. “At a Public Accounts Committee meeting in December 2015 the head of the HEA, Tom Boland, refused to answer whether or not he met WIT President and asked for ‘his head on a plate’”. Mr Boland retired early from the HEA, not long after refusing to answer those questions about his involvement in the removal of Kieran Byrne from office. After not being offered a continuation it would be almost impossible for Kieran Byrne to regain office. In 2011, the Government convened a panel of education insiders to shape Government higher education policy until 2030. The meetings gave rise to the Hunt Report, which generated the idea of a new type of institution, which would be a half-way house between an Institute of Technology and a University – a Technological University. The report, which would become Government Policy, plugged a stopper into the possibility of any new universities being created whilst simultaneously proposing toxic mergers – such as Waterford and Carlow – that would tie up the sector for years, while existing universities could continue to swell. The news that WIT and Carlow IT staff have chosen to strike over plans to submit an application to become a Technological University before the end of September deadline has placed a shroud of uncertainty over Waterford’s educational future.